STOP! If you haven’t read Johnna’s first two blog posts, click here. We just recently received our family pictures, which were taken on Everett’s second birthday. The first picture got me – he’s standing up on the chair with an ornery smile. STANDING – all on his own. He’s perfectly balanced and ready to take on the world! Most mothers would probably tell their child to sit down and stop standing on the chair in the middle of their family photography session. But when you’re told your son will never walk and he mischievously climbs onto a chair with no help and stands there, posing for the camera … well, you let him do it. Then, you try to control the immense pride threatening to spill out in the form of joyful tears. After all, we’re taking pictures here and I can’t have mascara running down my face. When your child is diagnosed with a serious birth defect, such as spina bifida, you will cry a lot of tears. What most won’t tell you though is that the happy tears far outnumber the sad. This is in part because of who Everett is as a person – funny, smart and determined. But it also has a lot to do with the grace of God and the amazing team from Texas Children’s Fetal Center. After undergoing fetoscopic surgery in June 2016, Everett has been flourishing since birth. I wrote a blog post in early 2017 updating everyone on his progress. I can hardly believe nearly two years have passed, but what is even more unbelievable (other than the rapid passage of time) is how far Everett has come since then. 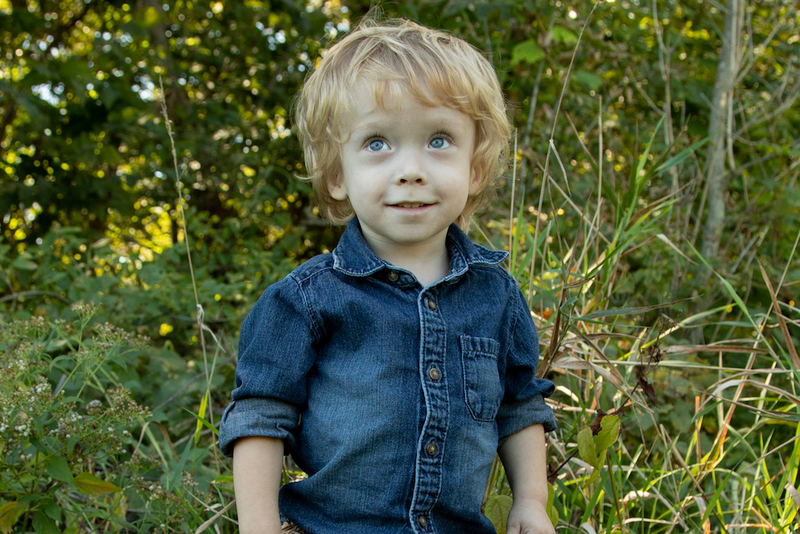 With help from orthotics and our amazing physical therapist, Everett learned to stand. In December 2017, he received a gait trainer and took off with it. The walker gave him the freedom to go – and he did, building strength with each stride. By the time Everett was 19 months old, just five short months later, he took his first independent steps. Pretty soon after, he added climbing to his repertoire. Today, at 2 years old, he has ditched his walker and loves to “run” around the house. “I running, mommy,” he says as he pumps his little arms and quickens his little feet. On top of his physical progress, Everett’s speech and cognitive development have been exciting to watch unfold. He pays close attention to the world around him and picks up on new words and ideas quickly. For instance, he instantly recognizes the buzz of an airplane overhead and shouts out “airplane” whenever one is near, and he thoughtfully offers to mow the grass daily. Everett’s developmental specialist recently told us he has the vocabulary of a 30-month-old, and he continues to hit many of his milestones ahead of schedule. Despite having enlarged ventricles, he hasn’t needed a shunt to help regulate excess spinal cord fluid. I’m not saying we don’t have our struggles. The bowel and bladder issues caused by nerve damage from spina bifida will always have to be managed. Everett is a petite guy, so we’re watching his weight and working toward adding more of it to his small frame. However, we are truly blessed when you look at the big picture. Yes, Everett has been defying the odds in more ways than one. Everett may only be 2, but he is definitely taking on the world (true to the aforementioned song) and showing everyone what’s possible when you pair a strong spirit with the marvels of modern medicine. We’ll always be grateful to the caring, dedicated staff at Texas Children’s for their support and desire to be a world leader when it comes to caring for infants and children facing unique medical challenges. If next year is anything like the last few, we are in for a wild, wonderful ride. If you're interested in learning more about the Fetal Center at Texas Children's Pavilion for Women, click here. For MyChart, click here.